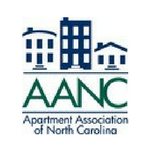 The NALP (National Apartment Leasing Professional) Credential Program curriculum is designed for leasing professionals. They are the first people prospective residents meet, and often their only gauge of the property staff. This course is designed to teach these professionals skills to help them become top producers. Launch your career by earning your NALP credential! To register, click "Registration Options" above or click here to download the paper registration form. No money in the budget? TAAEF is now accepting NALP Scholarship Applications for the 2018 NALP Credential program. The application is available here. The Scholarship application deadline is September 10, 2018.